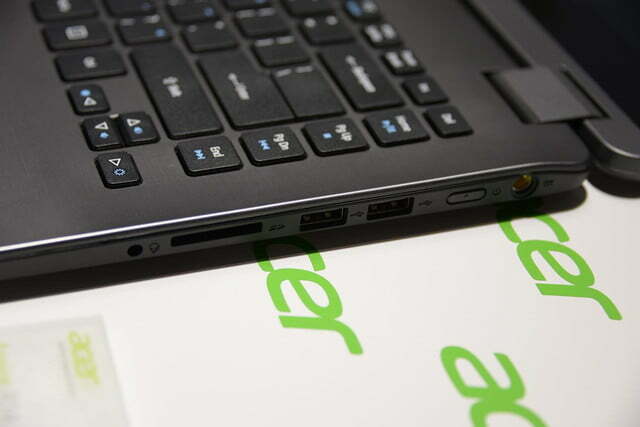 Acer has proven itself very willing to experiment with new notebook designs, a fact proven by its unusual but useful Acer Aspire R7, which received out Editor’s Choice twice in a row. 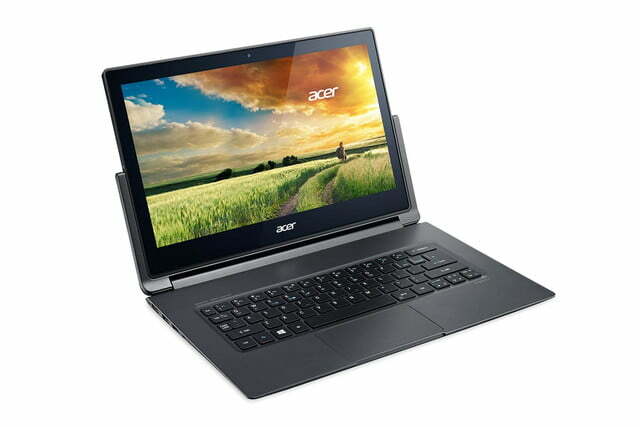 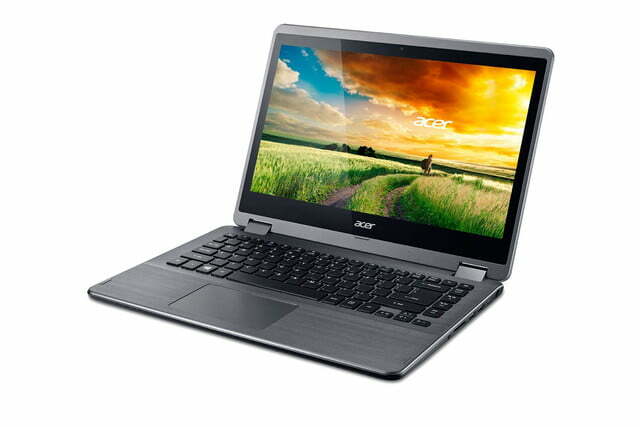 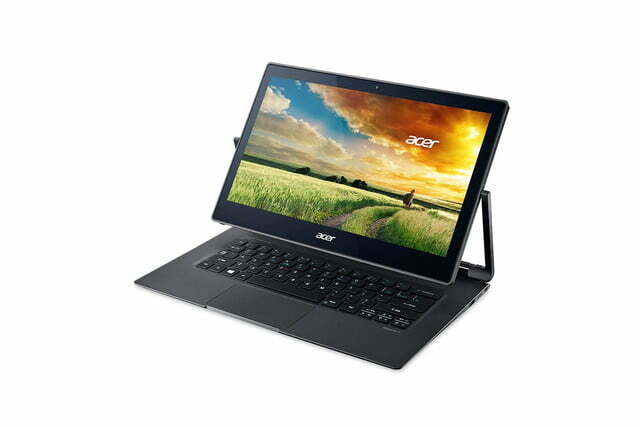 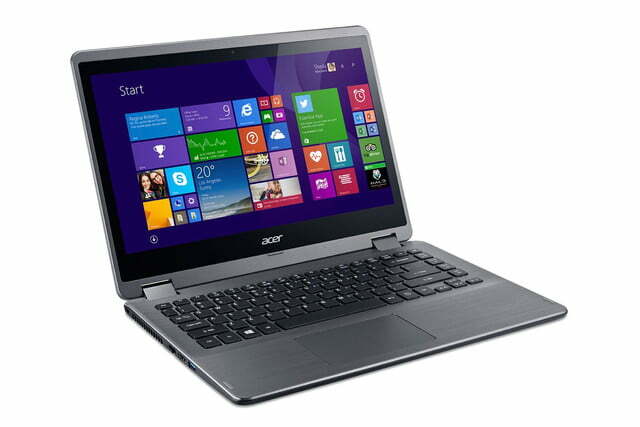 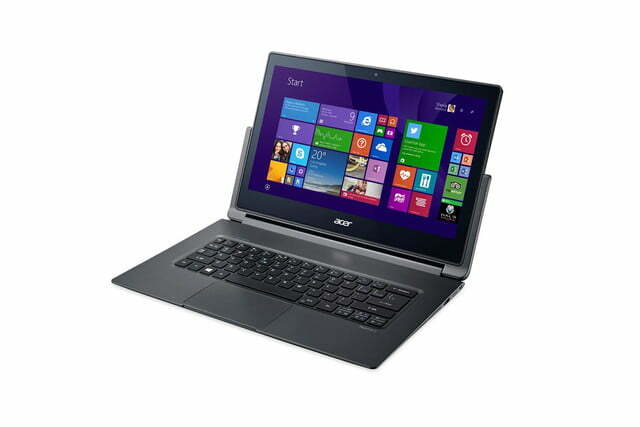 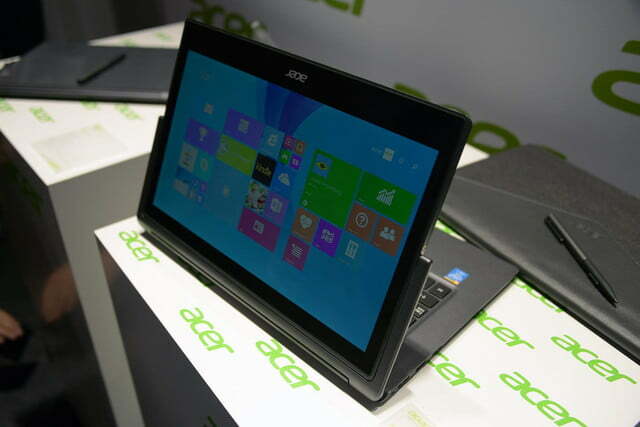 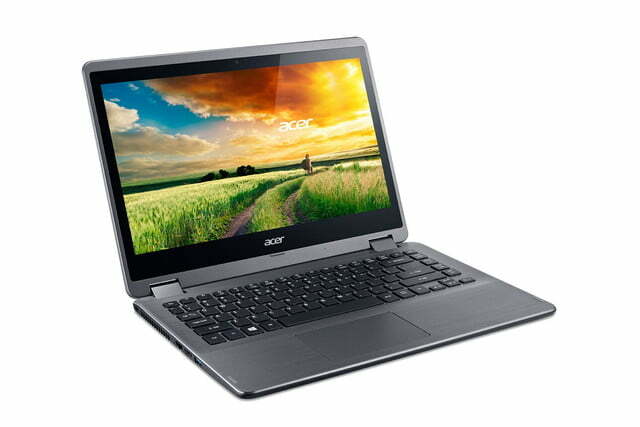 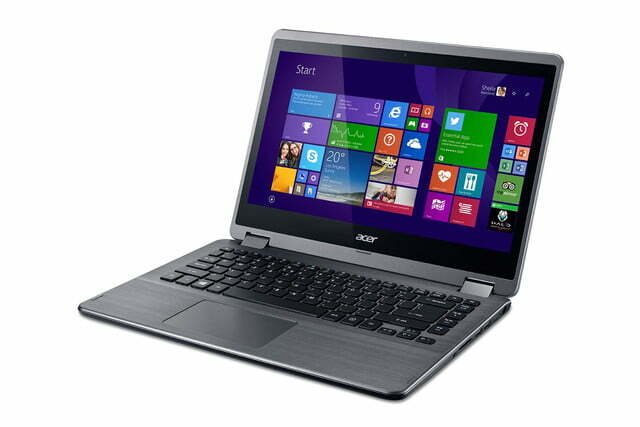 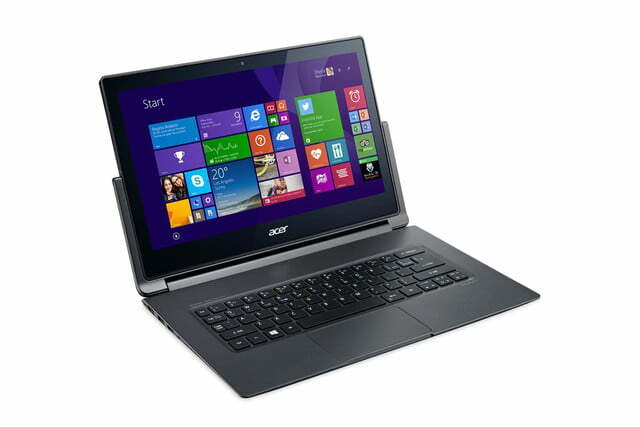 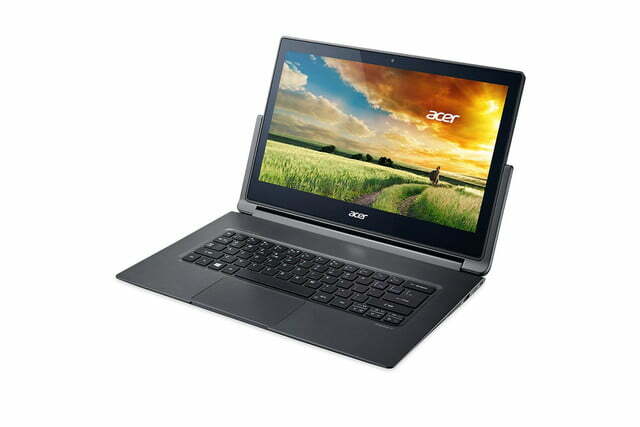 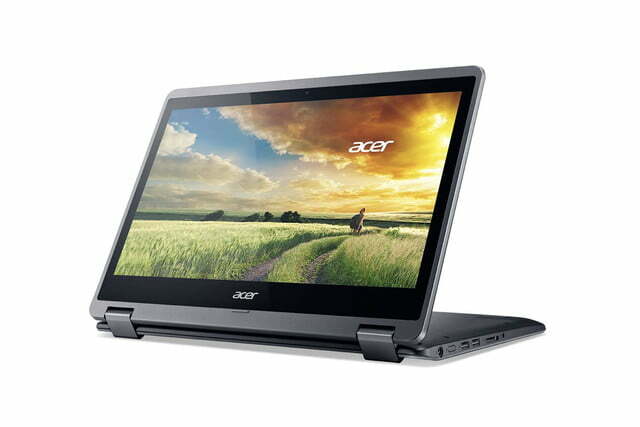 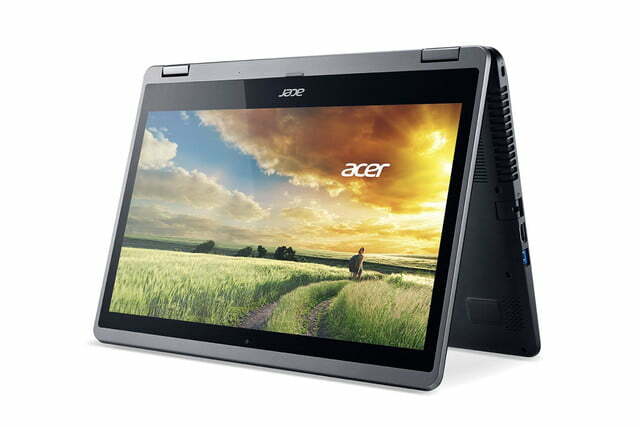 Now Acer has revealed two smaller convertibles, and while they’re quite different they aim to achieve similar goals. 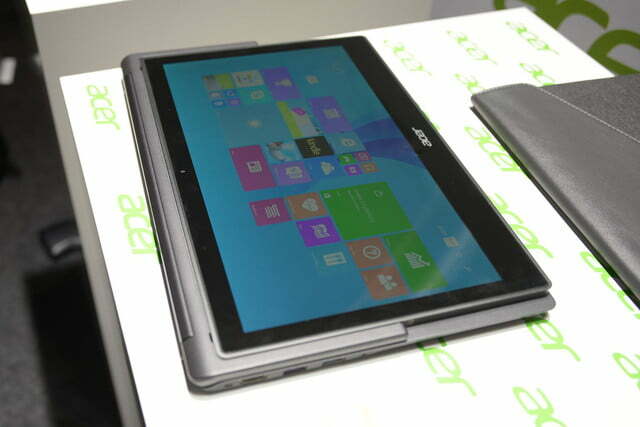 First up is the Acer Aspire R 13, which boasts a 13.3-inch display, measures less than an inch thick and weighs about three pounds. 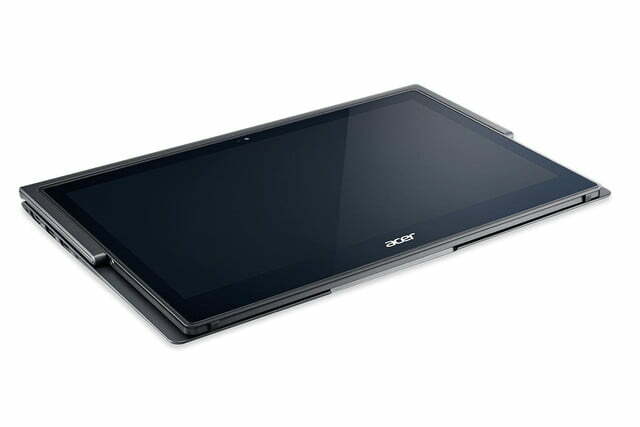 The R 13 provides convertible functionality with a touchscreen that rotates 180 degrees within its frame. 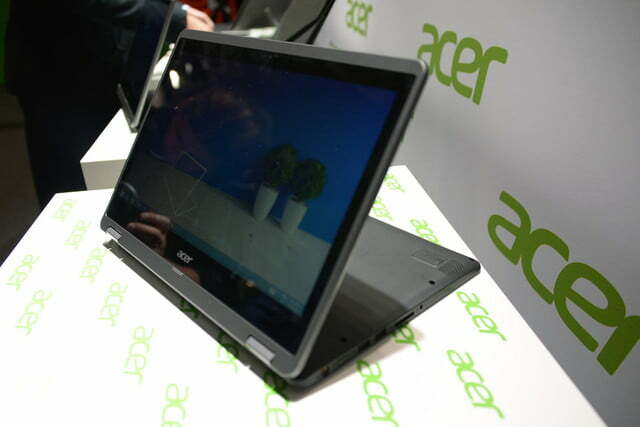 This is similar to the Dell XPS 12 but, unlike that model, this Acer only frames the lower half the display rather than its entirety. 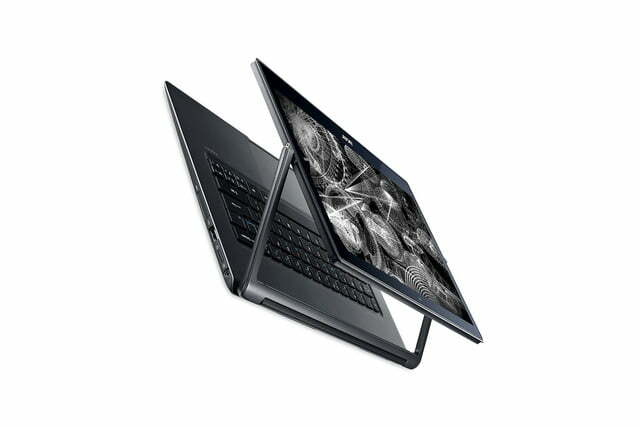 Framing half the display makes the R 13 usable in ways the XPS 12 and other rotating hinge designs can’t handle. For example, the display can be reclined at an angle across the keyboard for convenient touch use while the system rests on a table or desk. 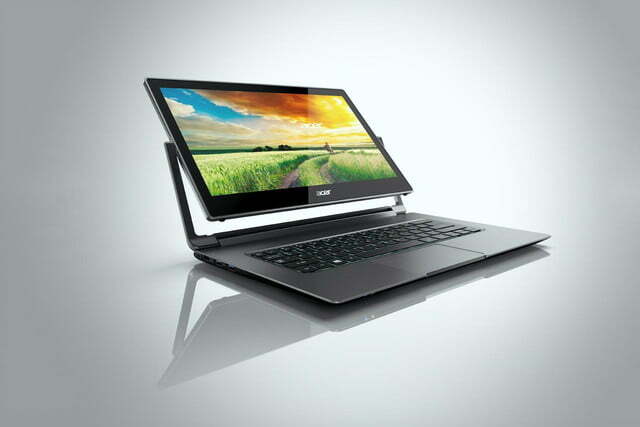 Normally the frame would get in the way, but that’s not a problem with the R 13. 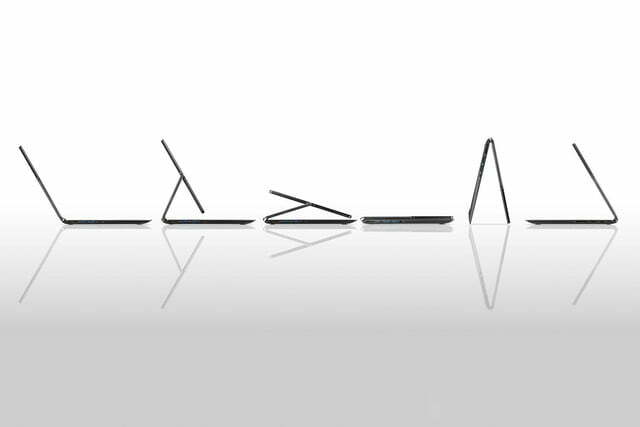 A total of six usage modes are offers; notebook, ezel, stand, pad, tent and display. 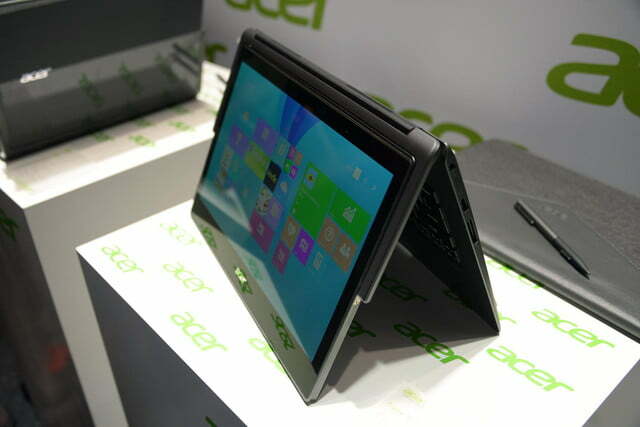 The innovative hinge is backed up by an impressive display. 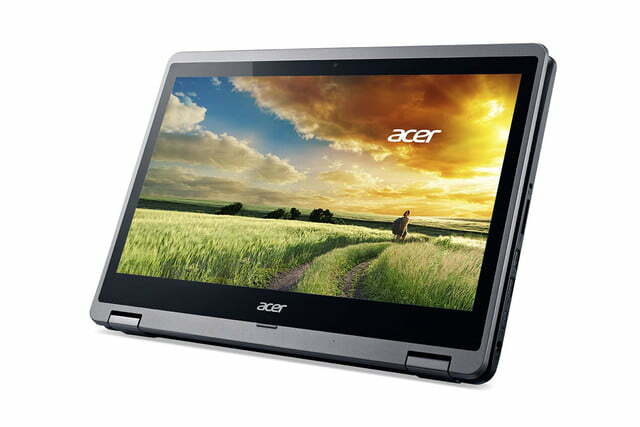 A 1080p “zero air gap” Gorilla Glass 3 touchscreen is standard and can be upgraded to 1440p resolution. 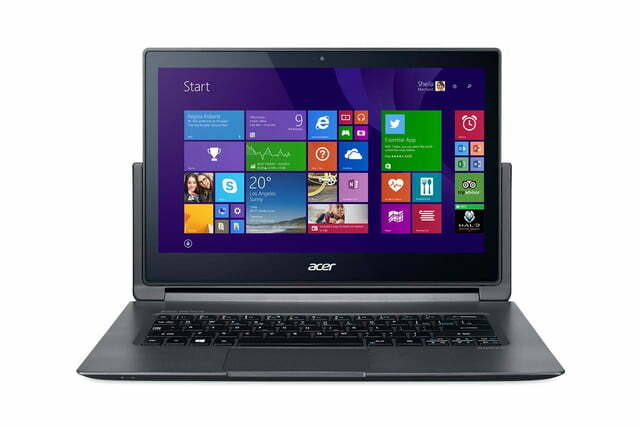 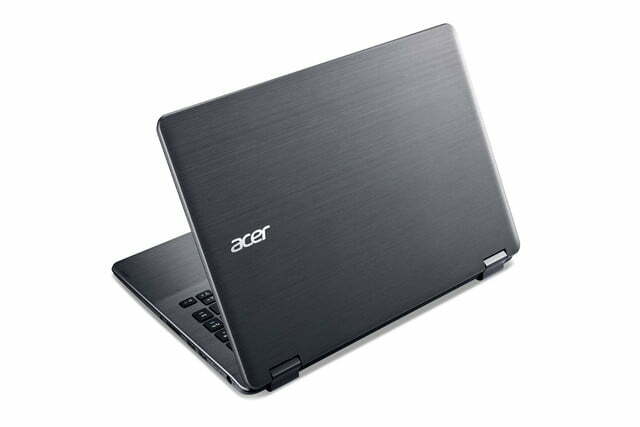 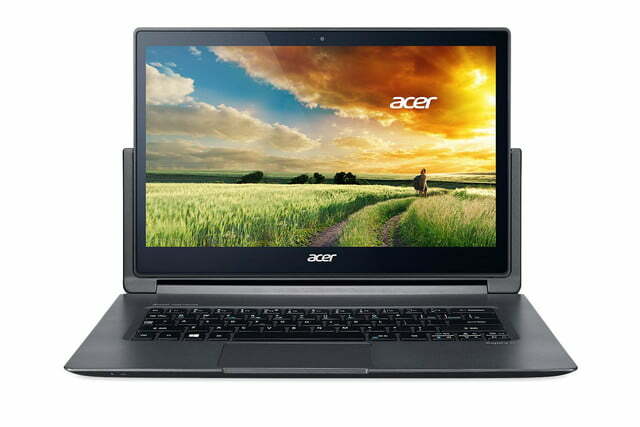 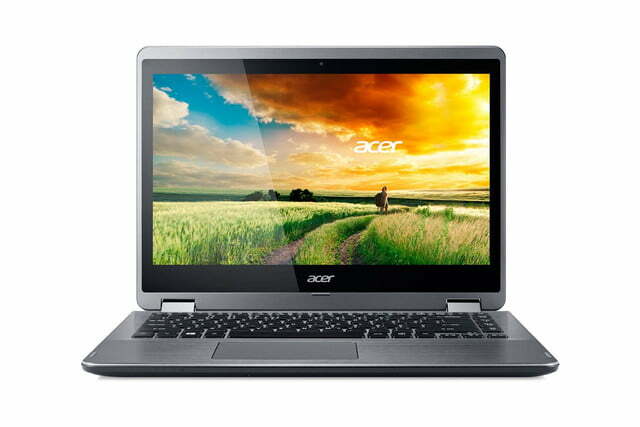 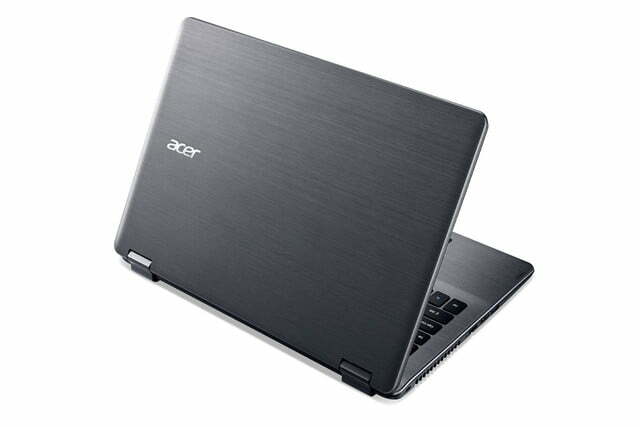 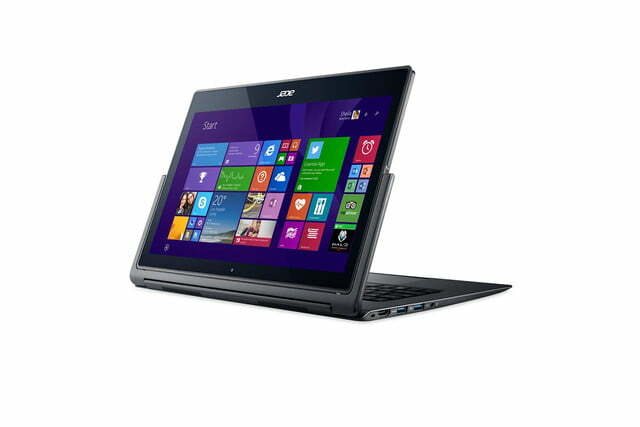 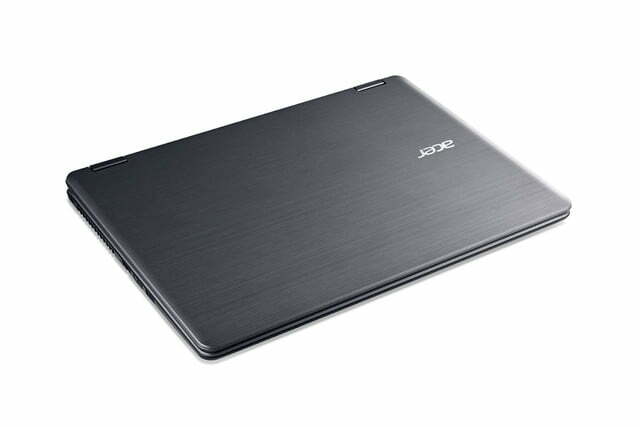 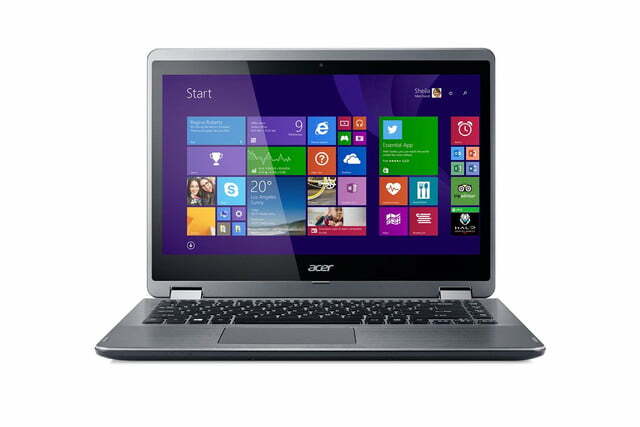 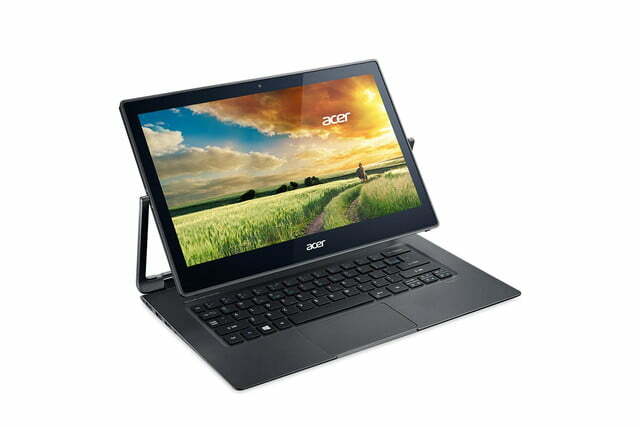 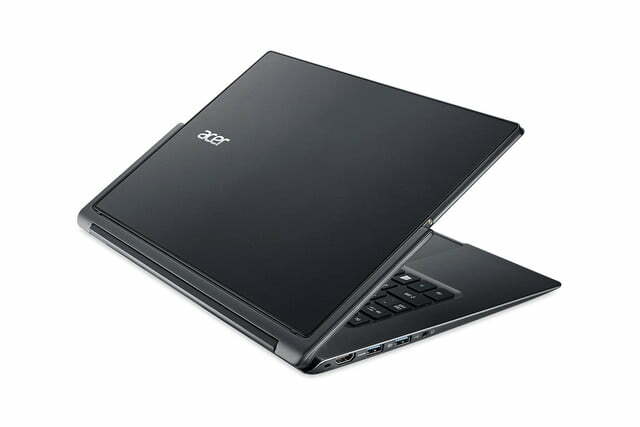 Both are built with IPS technology, include an anti-reflective coating and support Acer’s optional active stylus. 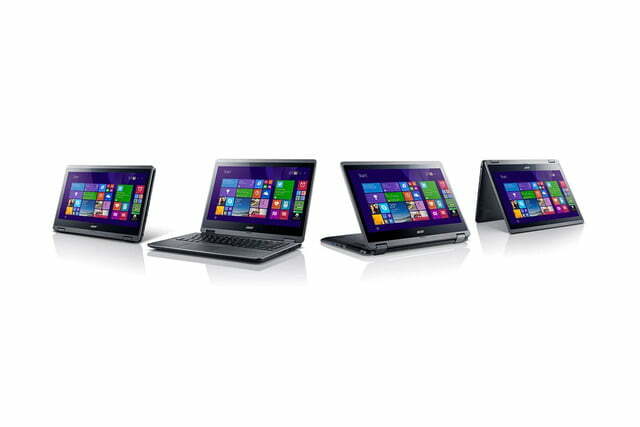 Many touchscreen notebooks from the company have shipped with displays that score well in our testing; we hope the R 13 follows their lead. 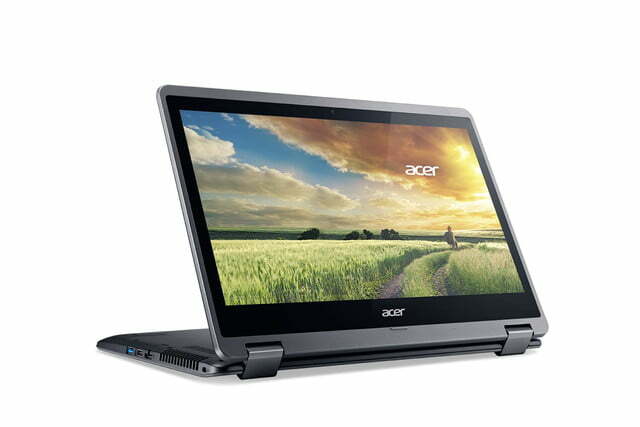 Inside the R 13 users will find a Core i5 or i7 processor, solid state drives with up to one terabyte of space and up to 8GB of memory. 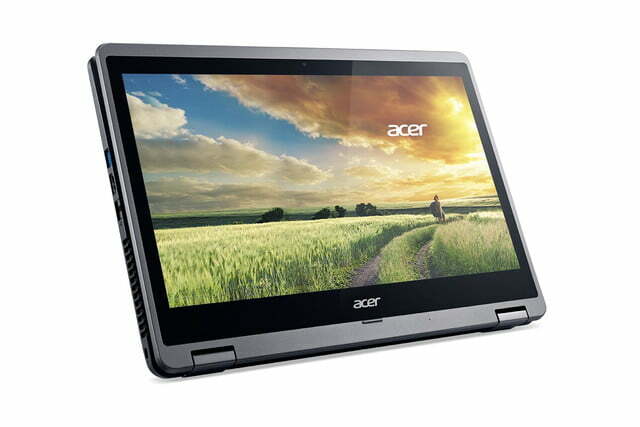 Audio will be provided by Dolby Digital Plus Home Theatre speakers and a dual-microphone configuration will be used to enhance VOIP services like Skype. 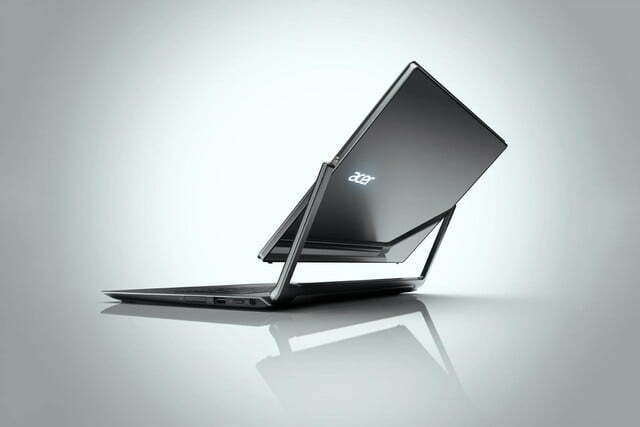 Acer also claims up to eight hours of battery life and says the system will use an “advanced dual air-intake” cooler that eliminates fan noise. 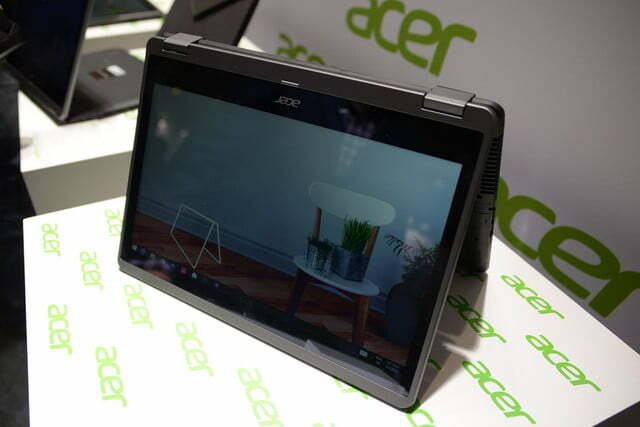 Surprisingly, in spite of its long list of features, the base model will sell for just $899 in Europe and €899 in Asia this November. 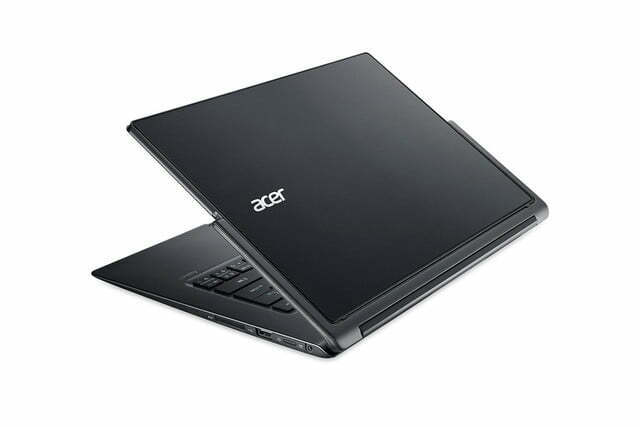 The larger R 14, despite its similar name, is a very different machine. 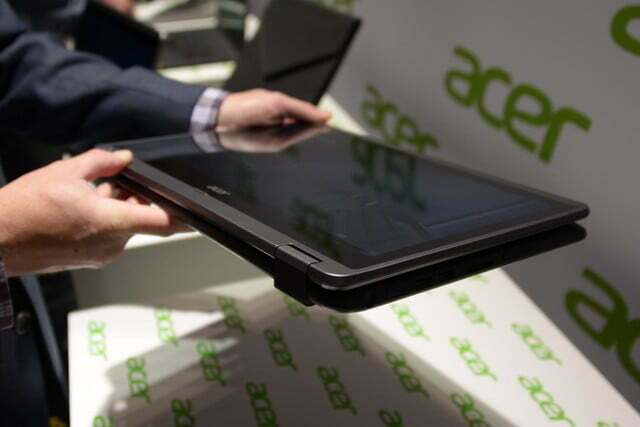 Instead of a 180-degree rotating touchscreen the system uses a more familiar 360-degree hinge (similar to the Lenovo Yoga line). 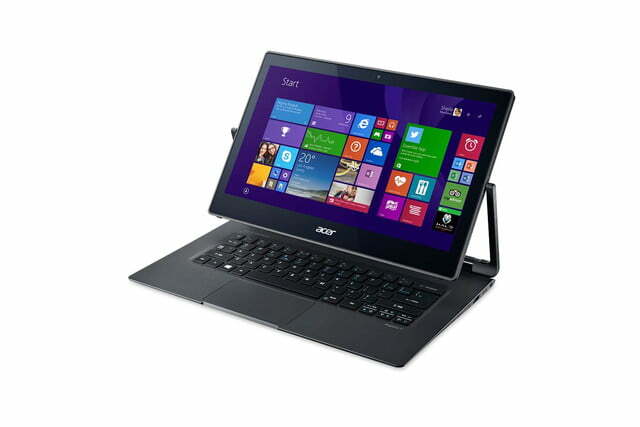 This provides four usage modes; notebook, display, tent and pad. 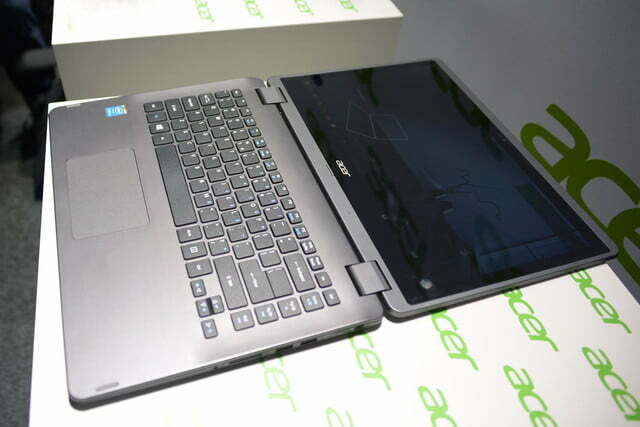 Unlike most competitors, though, the R 14 also has a unique chassis design that raises the interior above the level of the keyboard when the system is used in pad mode. 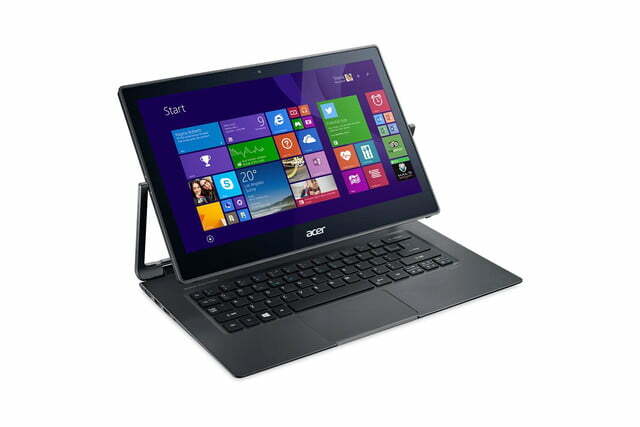 This should make the keyboard less distracting. While it offers a 14-inch display the R 14 will only be available with a 1366×768 “zero air gap” touchscreen. 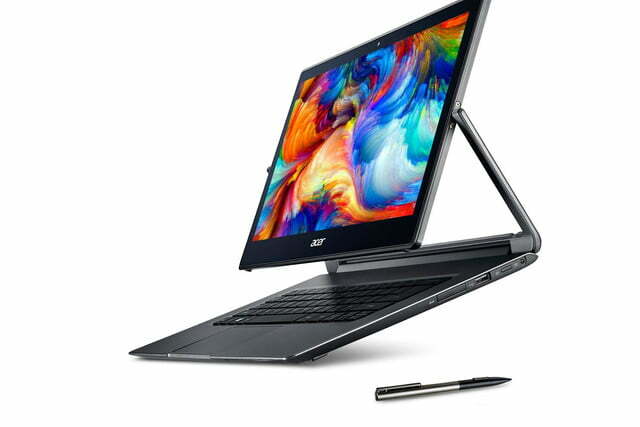 A wide range of Intel processors, from the basic Pentium line to Core i7 chips, will be available along up to 12GB of RAM and up to 1TB of mechanical storage. 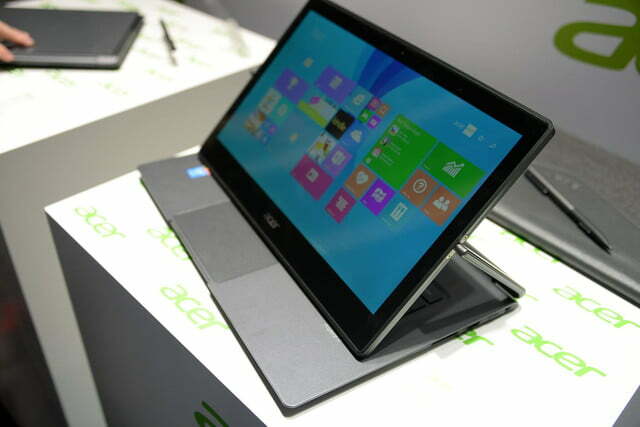 Nvidia 820M graphics will be optional as well. 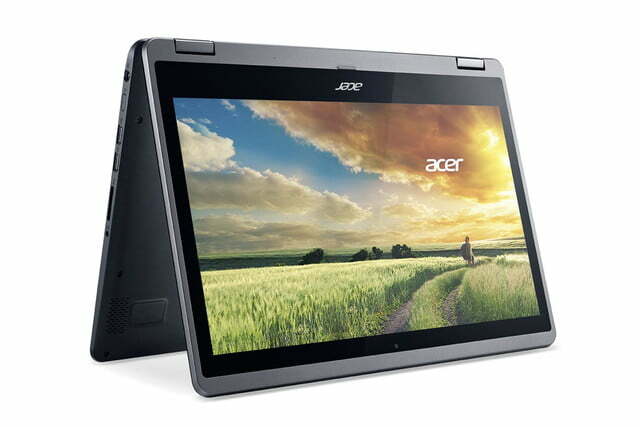 These less impressive specifications result in a low price; the R 14 will sell for $599 (€499 in Asia) when it launches worldwide this October. 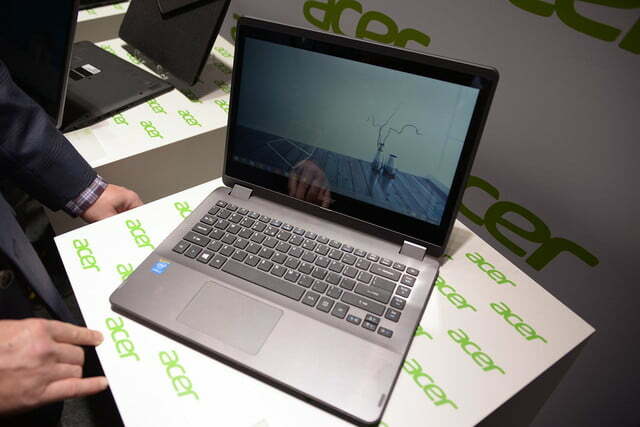 SoftBank to start selling Pepper the 'emotional' robot in U.S.